What tyre inflators can I buy from Argos? You don’t have to be a serious car maintenance enthusiast to know that owning your own tyre inflator is a sensible idea. Skip the queues at the garage and keep your tyres in good shape all year round with our pick of the best available from Argos. As fuss-free as tyre inflation gets, this Simple Value offering will pump up your tyres and throw in a little cardio for free. The single piston can inflate up to 100PSI with an analogue gauge to keep you informed on the current pressure. 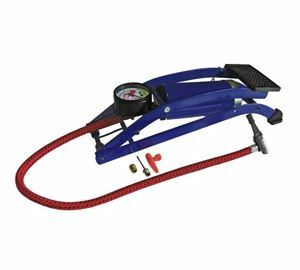 A thumb-lock keeps the hose in place during inflation and a set of three adaptors is included to deal with other inflatables too. Can be found often reduced from £19.99 this 12V inflator from RAC is one of the cheapest powered compressors currently on sale, but isn’t short of features as a result. 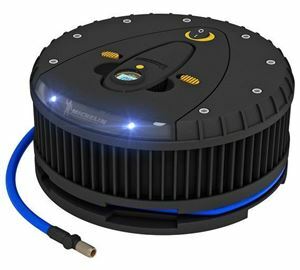 It can be powered by your car’s 12V socket or motorcycle battery terminals, and there’s just under a metre of air line to add to a 1.6m power cable (longer for motorbikes) so you can reach wherever you need. With 12 litres of air per minute it will have your tyre back to life in no time. It also features a torch and is remarkably compact at just 12cm in length. 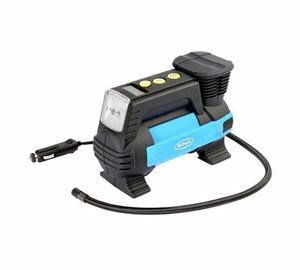 Just one of the impressive range of tyre inflators from Ring, this particular model sits near the top of the tree thanks to a host of features. The digital display and automatic function only requires you to set the desired pressure and hit the button, while the powerful compressor does its thing - inflation can be performed in under three minutes. A powerful light with SOS flashing function is also included plus three adaptors to suit a variety of inflatables. This tough-looking inflator from Michelin brings all the features you want and expect - a digital display and operation, LED lights to cope with the dark and a powerful motor to get you back up to pressure quickly. 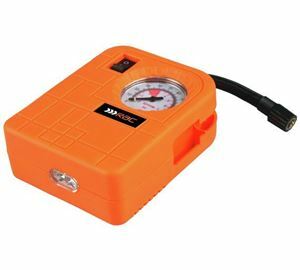 It has a few extra tricks up its sleeve however, most notably that the display element is detachable and operates as a pressure gauge all by itself - ideal for checking all is well without having to get the whole unit out and plugged in. One of the more expensive offerings available from Streetwize, this is an air compressor that can also help you in a number of situations. 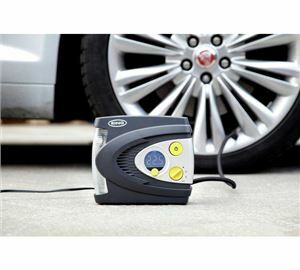 With a sizeable lead-acid battery housed within it can inflate your tyres in under 10 minutes, but the attached jumper leads mean you can jump-start a car up to 2.5-litres (2.0-litre diesel), power other devices via its 12V socket or even power 230V devices when paired with an inverter. As a means of covering several bases with one unit, it is an impressive piece of kit. Currently reduced from £49.99 at Argos, the Air Hawk has the advantage over most of the other devices in this list in that it operates via a rechargable battery, giving you the flexibility and security to inflate your tyres anywhere and anytime. 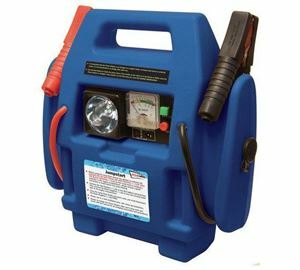 Capable of inflating up to 150PSI the Air Hawk can tackle a variety of jobs, comes with its own storage case, light and automatic stop. It can even run via the 12V socket if need be. Up at the top end of the Ring range is this Heavy-Duty RAC820 model, designed with bigger tyres and higher pressures in mind. 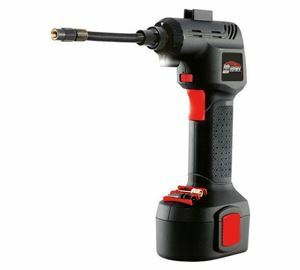 Weighing in at a sturdy 2kg it has a 3.5m power cable and 83cm of air line to give plenty of reach, while the powerful compressor can inflate a 15-inch tyre from flat in under four minutes. Pushing out a volume of 38 litres per minute it’s also perfect for vehicles with larger tyres such as 4x4s.